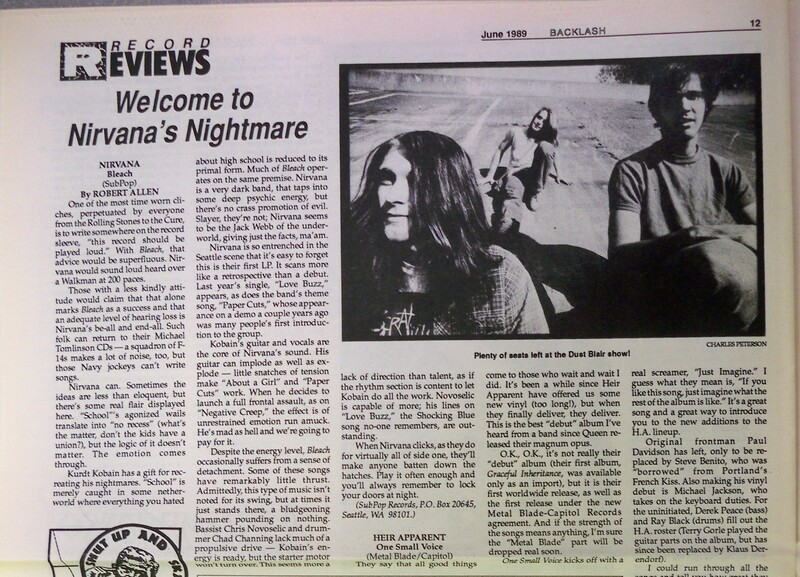 Review of the Nirvana album Bleach in the Seattle Fanzine Backlash. 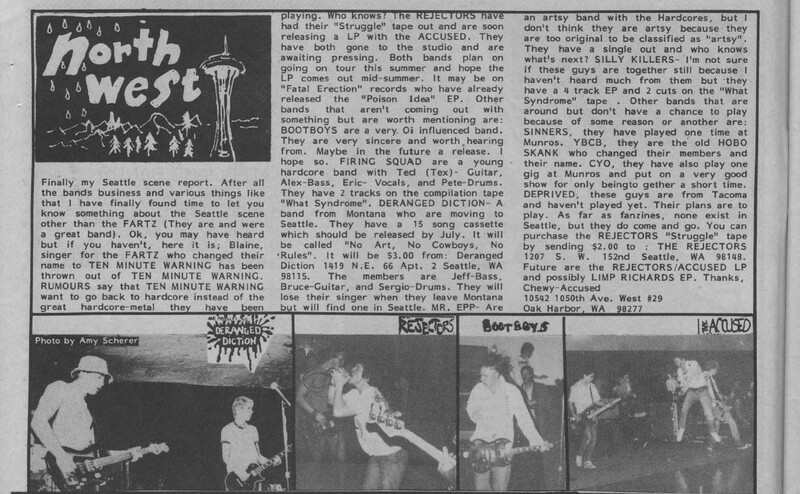 Seattle Scene Report in Maximum Rocknroll, July 1983. 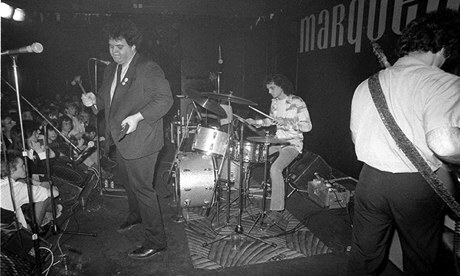 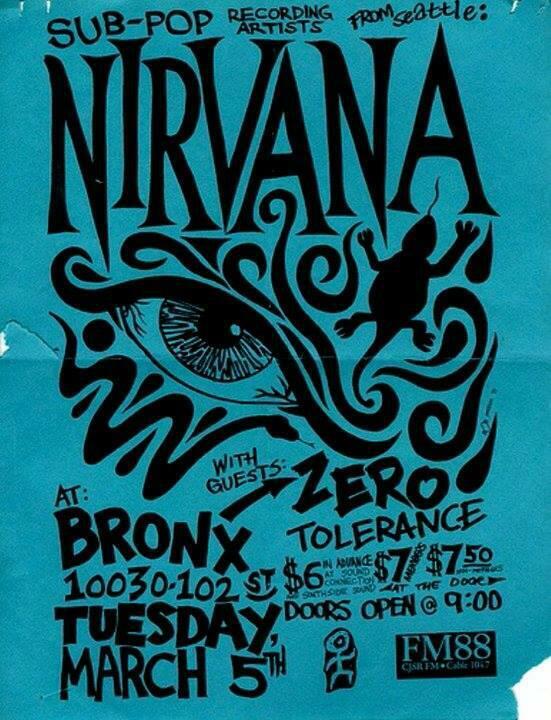 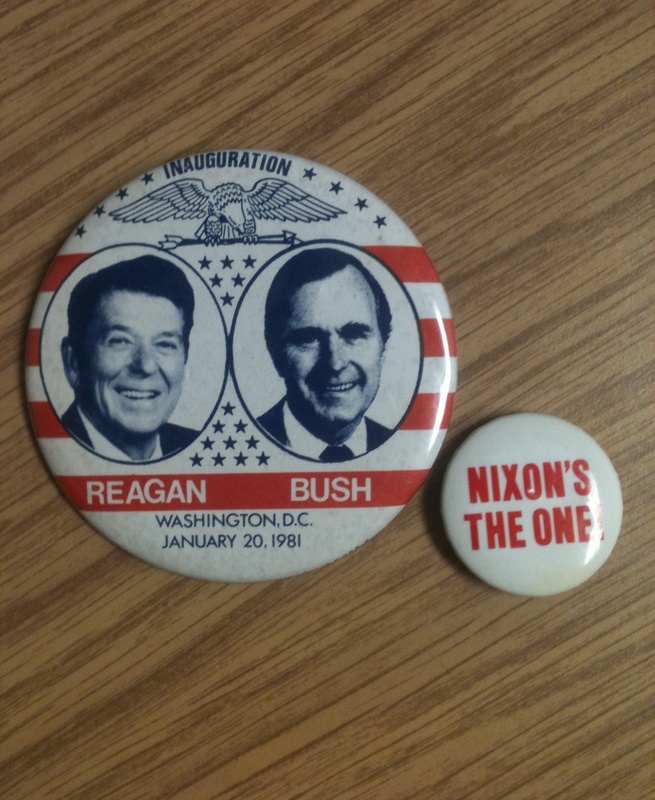 Members of bands listed here went on to be in Guns N’ Roses, Mudhoney, and Pearl Jam.